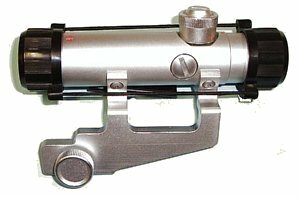 4x20 power Scope for the Ruger Mini 14 rifle. Scope and mount are in a nickel finish and can be used on either the blued or nickel finished rifles. Unit comes with the threaded bolt stop plate to replace the origional unit. Easy installation and rock solid mounting make this a great addition for your Mini-14. 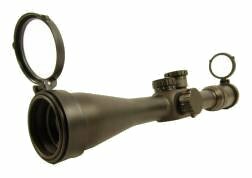 Great full length mil-dot illuminated reticle scope in the popular 3-9 power. 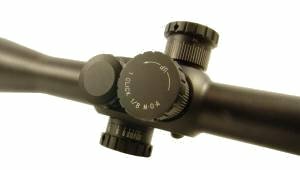 Scope is rubber coated to protect against bumps and bruises and comes with a set of 3/8" Dovetail rings to mount to your 22 or airgun dovetail. Great quality built for years of service. Another David's Collectibles offering. Dynamic scope body design featuring side-wheel red/green illumination rheostat. Well-balanced True-Hunter brass ergonomic W/E knobs. Adopts the latest technological advancement and uses precision machine parts and lens elements. Features rugged and high-tech rubber coating to absorb recoil and protect scope. Precise and most accommodating windage/elevation adjustments, excellent Â± 40MOA. Includes custom fitted rings for .22/airgun rails, allowing best fit for most popular rifles. Built-in user-friendly flip-open lens caps. A great scope very well recognized by elite shooters. First Focal Plane Technology is a new and exciting addition to our scopes. First Focal Plane allows the crosshairs to change as you zoom the power always keeping the same relationship with your target size whether you are shooting a hundred or several hundred yards. 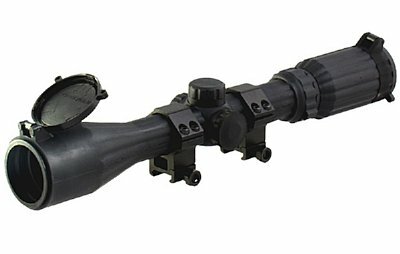 These scopes feature Mil-Dot range estimating illuminated reticule with parallax adjustment. 1/8 MOA click large target knob adjusters. 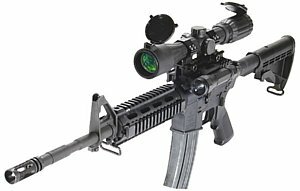 This scope gives you an edge the others do not have! 4-16x50 Illuminated Reticule First Focal Plane Scope. 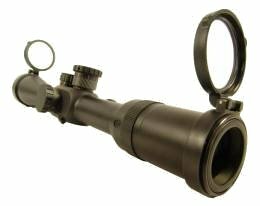 This scope features target knobs, 1/8 MOA adjustment and side parallax adjustment. Eye relief is 3-4", total scope length is 16.5 inches. Scope tube is 30mm is diameter and includes a free set of flip up caps. 6-24x42 Illuminated Reticule First Focal Plane Scope. 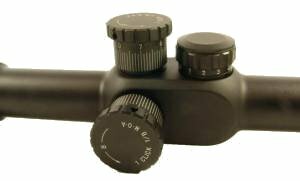 This scope features target knobs, 1/8 MOA adjustment and side parallax adjustment. Eye relief is 3-4", total scope length is 16.5 inches. Scope tube is 30mm is diameter and includes a free set of flip up caps.